* Designates an affiliate school. Bartending College has an affiliate bartending school in Denver, Colorado. 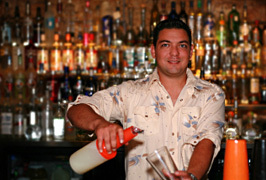 Affiliate graduates have the right of job placement assistance in any of Bartending College nationwide locations. Bartenders are known for their ability to make great money while meeting new people and having lots of fun at their jobs. Look around you at the number of liquor serving establishments and the number of bartenders (full time and part time) that it takes to staff these establishments.